We are a dedicated team which strives to provide success to our clients in regards to all their accountancy and business needs. Our team is very close-knit and ensures that a unified support is provided to you whenever you need it. With expertise covering all aspects of accountancy, taxation and business advisory services, we are well placed to provide holistic advice on specific issues and to help you to plan for the future. 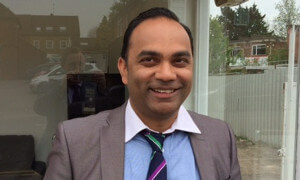 As well as ensuring that their accounts and tax affairs are in order and any liability minimised Ketan uses his vast knowledge form his accountancy and MBA qualifications and experience to deal with all manner of clients’ problems; finding solutions and communicating these to clients in a clear, efficient and cost effective manner. Ketan is a fellow of the Institute of Chartered Accountants in England & Wales and also a member of their tax faculty. Outside of the office Ketan can be found either watching Tennis or on a tennis court trying to play Tennis! 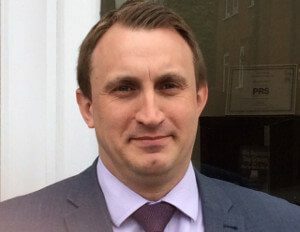 Steven has worked in accountancy for over 15 years, progressing through the ranks to gain a wide experience of accountancy and tax issues. He is a member of the Association of Chartered Bookkeepers. His personable and patient manner makes him very popular indeed with clients. Steven always goes the extra mile to help clients with his extensive knowledge of accounting and most bookkeeping software on the market (such as Kashflow, Quickbooks, Xero; and the dreaded SAGE!). This will stand all our client in good stead with the introduction of Making Tax Digital – we can safely say that our clients cannot be in better hands to deal with the added burdens that will bring to them. Outside of the office, Steven enjoys watching every sport under the sun and also travelling with his young daughter. His most recent travel has been to Australia visiting close family and where he spent over a year travelling in his youth. Ketan recalls that what made Steven stand out from the crowd when he was recruiting soon after he started his own accountancy practice was, when asked why he wants to come back into the Accountancy professions, Steven’s reply that he just wanted to make his daughter proud. With 2 young children at the time, this really struck a chord with Ketan – and this is the ethos of 1-2-1 TaxAccountants – we realise that everything our clients do is not just for them but mostly for their family, so if we can help our clients (be it by saving tax or by saving them time in by dealing with their compliance responsibilities); we are also helping their families. We hope and strive to really improve our clients’ quality of life and, pardon the pun, “make tax less taxing!”. 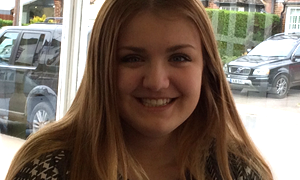 Shannon works flexible hours organising clients and their bookkeeping, dealing with Bookkeeping and Payroll. She is a Member of the Association of Accounting Technicians. Shannon is a shining example of youthful enthusiasm. She suffers from quite a debilitating condition – Chronic Pain Syndrome – but through regular monitoring, counselling and exercise manages it without ever complaining or feeling sorry for herself. She has such a bubbly character and zest for life we often have to tell her to stop being so happy – she’s at work!. Shannon enjoys spending time with her family. She has a keen interest in Country & Western music and her life-long dream is to visit Kansas City in the USA to watch her idols Lennon and Maisy – we did say that Shannon is no ordinary teenager.